I’ve been thinking a lot about Infographics lately. There are a lot of mediocre Infographics out there without much quality in either the information or the graphic. That said, there are also a bunch of good ones. So, I put together a list for my team to look at for Infographic Design Ideas. 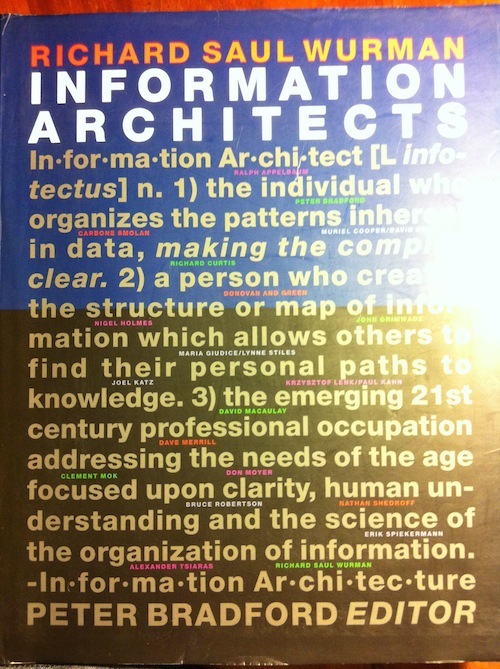 I also brought in this book from my Architecture School Days. Yes, that was a long, long, time ago, but when we were first working in computer graphics for Architecture we were inspired by information architecture, visualization and a whole range of communication tools which have been forgotten, abandoned and are only making their way back into the consciousness thanks to our need to create “quality content”. What are your favorite Infographic and data visualization sites? Share with us in the comments please!